If you enjoyed reading this information article, make sure you visit the author's website for even more inside information on North Cyprus. It is essential reading before your visit! Northern Cyprus enjoys the best of the unrivalled Mediterranean weather and has long, unspoilt, beautiful coastlines and incredible mountains. Cyprus is the third largest island in the Mediterranean Sea, and the Turkish Republic of Northern Cyprus lies directly 70km south of the Turkish mainland. Because of the island’s location at the maritime crossroads of the eastern Mediterranean basin and its proximity to the Middle East, Cyprus has always been an island of strategic importance and throughout its 10,000 year known history the island has either profited or suffered depending on which external power bloc controlled it at the time. Northern Cyprus enjoys the best of the unrivalled Mediterranean weather and has long, unspoilt, beautiful coastlines and incredible mountains. 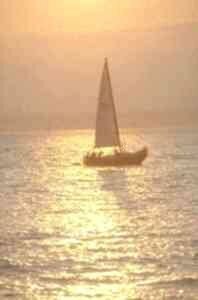 It is an island rich in natural resources, including the copper from which the name ‘Cyprus’ is derived. Residents on the island benefit from at least 340 sunny days every year and the thriving year round tourist trade sees visitors returning year after year to sample the delights that the island has to offer. 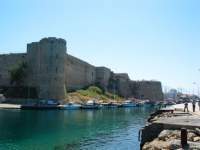 This guide to Northern Cyprus will introduce you to the delights of the main cities and towns of Kyrenia, Nicosia, Famagusta, Lapta and Ozankoy. Kyrenia (Girne) is the most famous and popular town in North Cyprus. It’s also where all visitors to the island are naturally drawn. The town is built around the pretty horseshoe-shaped harbour along which you’ll find many bars and restaurants. It is dominated by the immense Byzantine castle. The town sprawls out from the harbour and is home to a number of interesting museums and galleries, as well as being a hub for local tradesmen. The old town is located behind the harbour and if you wander along the rambling narrow streets you’ll come to small secret shops, cafés and restaurants, some with tiny courtyards all tucked away in the shade of the buildings. Take time out to explore the back streets from the harbour to the mosque. If you fancy some shopping, the main shops are mostly centrally located, although a few more have appeared on the main Lapta road in recent years. You’ll find banks, money exchange offices, souvenir shops, pharmacies, clothes shops, taxis, estate agencies, the odd pub, bar, café and restaurant all located in the centre of the town, and if you can’t find exactly what you’re looking for, just ask one of the many friendly shopkeepers for directions. Kyrenia’s harbour area is very picturesque and strolling around it for the first time is an unforgettable experience. The harbourside cafes and bars are great places for whiling away sunny hours and the visitor is afforded a great view of the small fishing vessels, tourist boats and occasional yachts that vie for position on the overcrowded quays. At night, especially in the summer, the harbour is the place to be and to be seen! Expect great people-watching possibilities, enjoy a leisurely dinner with family or a lively drink with friends. Kyrenia castle is lit up beautifully at night and adds a stunning focal point to the whole harbour area. It dates back to the late 12th century and is believed to have been built on a former Roman fort. Today it’s an exciting visitor attraction and museum with its lofty heights free and unrestricted by guard-rails for people to climb around… but parents should be vigilant because a lot of those edges really are unprotected! Inside the castle is the famous shipwreck museum. An interesting attraction within is one of the oldest ships ever recovered from the sea. 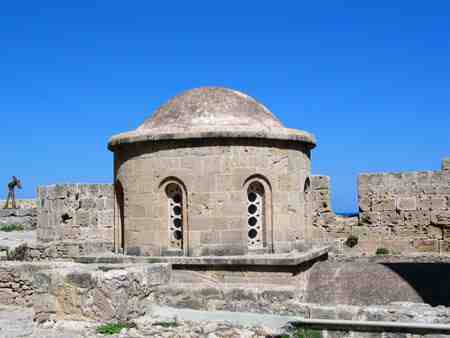 It was raised just off the shore of Kyrenia, North Cyprus, and has been beautifully preserved. If you climb up on to the walls of the castle you can see the whole of the town beneath you and your back drop will be the stunning gothic-like Kyrenia mountain range. In front of the castle, across the Mediterranean, lies Turkey. The mainland is only 90km away and on a clear day you can see the coast and the mountains. 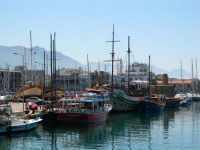 You can sail across to Turkey from Kyrenia’s new harbour. The new harbour is situated just 2km east of the old harbour and receives many commercial vessels as well as daily passenger ships. The town is small enough for visitors to easily walk around and it is perfectly located just 30 minutes drive from Nicosia (Lefkosia). It provides a great starting point for visitors to North Cyprus; in fact, once you arrive, you might not want to leave! Many British people have already made their home in and around Kyrenia, ready to offer you a very friendly and familiar welcome. Nicosia, Lefkosia or Lefkosa… all names for the last remaining divided city in the world. The unchanged and timeless Turkish Cypriot Northern half of the city is in direct contrast to the busy, sophisticated Greek Cypriot Southern half, yet both sides have a charm and attraction of their own. The fact that since 2004 EU citizens are free to cross from one side of the city to the other means that we can now all enjoy Nicosia as a whole and get a better understanding of the Cypriot people and a wider appreciation of Cyprus. If you travel from the South on foot you can cross at Ledra Palace which is centrally located for the main city shopping areas on both sides of the Green Line. Alternatively, if you prefer to cross by car, then the Metehan crossing is now fully open with two lanes and passport control on both sides to reduce waiting times. To cross you will need a valid passport and you will also need to fill in a short visa form which is available from the passport control offices on the Turkish Cypriot half of the border. You will also need to take out Greek Cypriot car insurance if going from North to South and Turkish Cypriot car insurance if going from South to North. Don’t worry you don’t have to buy annual insurance; you can buy it on a daily or monthly basis! North Nicosia has really changed little over the years. The back streets are ramshackle reminders of a time gone by and there you will still see people living very simple lives. Travelling away from the city centre, especially in the direction of Kyrenia, you will see some sophisticated developments taking shape and some stylish homes springing up, but the true heart of the city is where you will find the most interesting and historic features. The city has been divided effectively since 1963 when separate Greek and Turkish areas were identified; the Green Line was firmly established by a British Military Commander who famously took a map and drew a line with a green pen to divide the city for the sake of peace. The name for the border that divides the two Cypriot communities has been known as the Green Line ever since. The division became absolute and formalized in 1974. Because the centre of North Nicosia is quite small, it is easy to get around it in a day although, in the heat of the summer sun, you may need quite a few refreshment stops! Visitors can take a walking tour of the city’s sites by following the faded blue line on the pavement, or they can meander around the back streets and side streets, squares and markets at their own pace. A visit to North Nicosia would be incomplete without a visit to a hammam, the old and new markets and the Selimiye mosque. Hammams are traditional Turkish baths where you can have a steam bath and a massage. The new (newer!) market is a fantastic place to pick up clothes, shoes and textiles for very attractive prices and where lots of fake name-brand items are on sale at bargain prices. The shops display only a selection of their wares outside, so don’t be shy, venture inside and if you can’t find what you’re looking for just ask; chances are they’ll have what you need tucked away somewhere! The shop owners in Cyprus are always very friendly and welcoming; they don’t mind if you’re just browsing and they’ll go out of their way to help you bringing you new items to try on or to consider. The old indoor market is a fantastic place to pick up fresh local produce, to try before you buy, and to get a real feel for Cyprus. Selimiye Mosque is located between the two markets and is probably North Nicosia’s most prominent landmark. You might be confused when you first see it because it looks like a cross between a Gothic church and a traditional Mosque… well, that’s because it is! The building started out life as a church in 1209 and became a Mosque in 1570, when it was stripped of its Christian decoration and two minarets were added by the Ottomans. You can actually go inside the Mosque to get a closer look at this fascinating building and it is well worth a peek. Be sure to remove your shoes though, and dress conservatively, remain silent as well, and please don’t be tempted to take pictures when prayers are in progress. There are many more sites, sounds and experiences to be had in North Nicosia. There’s fantastic ethnic item and souvenir shopping, jewellery shopping, many cafés and bars to try and lots of museums and galleries. And hopefully, one day in our lifetime, Ledra Street will be reopened and reunited and those working towards reunification will be rewarded. The Turkish name for Famagusta is Gazimagusa or Magusa and the town, located on the far East coast of Cyprus, has experienced extremes of fortune throughout its long and fascinating history. Today visitors to Famagusta’s old town will be struck by how ramshackle and ruined it appears... and yet it was once the most lavish and richest city in the Eastern Mediterranean. To understand the Famagusta of today it is important to look into its past. In the 3rd century BC the town was founded by the Egyptians and it was indeed a town of some significance, but until the abandonment of the city kingdom of Salamis in AD648 its population was not great. It wasn't’t until around 1291 that the town became particularly prosperous. Following an influx of Christian refugees from the Holy Land the town benefited from this demographic lift and grew to become the most wealthy and successful city in the Eastern Mediterranean, as previously mentioned. It also became an important trading centre because it benefited from a harbour with naturally deep waters. 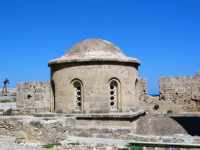 As a result of the opulence of the city, so many churches belonging to the different religions inhabiting the city sprang up across Famagusta that at one stage it was reported there were as many churches as there were days in the year! Unfortunately the city’s fortunes began to change for the worst in 1372, when it was seized by the Genoese, and they further deteriorated following the Ottoman invasion and capture in 1571. The site that visitors behold today of a town in partial ruins with destruction and half finished buildings, broken churches and half standing houses is mainly as a result of the Ottoman siege. Famagusta’s recent history is equally as turbulent. During the 1960s and 1970s the town was a booming tourist town; it was one of the most desirable destinations in Cyprus and, in fact, on the Mediterranean. It held great attraction for local Cypriots as well and it was inhabited by both Greek and Turkish Cypriots. Following the conflict in 1974, the town’s tourist industry was completely destroyed, the town beach that was the main draw for the crowds who visited the town was actually closed and the residents of the town were forced to once again rebuild their lives. Today visitors are once again making their way to this fascinating town to see the historical buildings, Venetian city walls, Othello’s Tower, ruined buildings, mosques and museums. If you do visit the town you will get one of the warmest welcomes in Cyprus… and you will need a whole day to fully explore the old town and really appreciate it. Accommodation in the town is limited in availability and choice. Most people choose to stay at one of the lovely beach resorts just outside and travel in for a day trip. There are plenty of small cafés and restaurants in the town to offer refreshment and there are many sites and areas of interest to keep the historically and culturally focused fully engaged! Lapta is located about 10 kilometres west of Kyrenia; it’s a local tourist hotspot and has some excellent hotel and general accommodation options for visitors to North Cyprus. 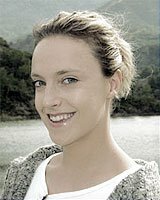 The main town is located behind the tourist strip along the beach and is popular for its beautiful views, a selection of good restaurants and its cool leafy ambience. It was saved from the forest fires that ravaged parts of the island back in the 1990s and so it remains not only physically intact, but its spirit and history have been untouched for generations. Lapta manages to represent the best in coastal towns and mountain villages and it offers some of the best scenery on the island with stunning mountain views from the old town and beautiful and peaceful Mediterranean views from the coast. Visiting the town of Lapta you’ll find it’s divided into two distinctive parts, each offering the visitor interesting alternatives for entertainment. Firstly, ‘Lapta strip’ as the main road through the town is known, is home to a number of bars, restaurants, pubs, cafés and hotels. You have casinos, water sports, beach access, live music and a really good holiday feel along the strip. Tourists of all ages are very well catered for and Lapta in this respect offers a lot of entertainment options. During the main summer season the area triples its population such is the popularity of the resort. The old town is a popular retreat for expatriates and has been for many years; initially they were attracted, among other things, by the town’s excellent and pure water supplies! It also enjoys a protected micro-climate and it’s where Greek and Turkish Cypriots lived peacefully and happily side by side for generations. Lapta is historically one of the richest and most historically interesting areas of Cyprus. From the 8th century when Phoenicians settled in Cyprus, Lapta or Lapithos as the area was known then, became one of the city kingdoms in Cyprus, then later, when Cyprus was under Roman rule, Lapta was a regional capital. During the Byzantine period Lapta, or Lambousa as the area around the town as we know it today was known, was so prosperous that it became renowned as ‘the city of treasure’ which unfortunately led to its invasion and partial destruction by Arab pirates. The residents of Lambousa were forced to hand over much of their treasure to the pirates before they were allowed to flee, but they still managed to hide a lot of their remaining wealth. When the pirates finally finished ransacking and destroying Lambousa the surviving residents returned but found the city destroyed and were unable to unearth what they had hidden. The treasure of Lambousa became a legend was almost dismissed as such until archaeologists and amateur treasure hunters began unearthing some incredible, stunning and priceless treasure from the area early in the 1900s. Lapta is also famous for its abundance of richly flavoured fruit and vegetable crops which are nourished by the mountain springs I mentioned earlier. It is a town as rich in resources as it is history, natural beauty, charm and appeal. If you visit, take time out to enjoy both the relaxed rural and historical charm of the old town and the fun and lively scene along the strip. Situated just 3 miles East of Kyrenia, Ozankoy is one of the prettiest villages in Northern Cyprus and is home to a small but truly multi-national population! The residents of the village, which was previously called Kazaphani, have been drawn by the attraction of the peace and tranquility of Ozankoy’s setting, the beautiful and preserved natural environment around the village and the friendly welcoming nature of the local Turkish Cypriot people. The village itself is interwoven with olive, carob and lemon trees, for which the area around Ozankoy is famous, and any new development in and around the village is required to respect the natural surroundings and build not only sympathetically but also carefully so as not to disturb the ancient trees and the natural habitat of the many flora and fauna species. In the springtime the village is alive with pretty blossoms; in the winter it is aglow with citrus fruits; in the summer it basks in the beautiful Mediterranean sunshine. The village is located on the edge of the Kyrenia mountain range foothills and its houses wind up and around Fehim Bey Hill to join the low lying residential areas of Bellapais. From Ozankoy you have one of the best views of Bellapais Abbey as it perches seemingly precariously high above the village on a natural plinth on the mountainside. At night time when the Abbey is all lit up it is a favourite sight for visitors and residents of Ozankoy. Ozankoy itself is not without its own unique sights, sounds and flavours. The village is home to a pretty and now well maintained medieval church which was once decorated expansively with frescoes and murals. Sadly, many of the precious paintings have deteriorated over the years but luckily the Turkish Cypriot people were able to save the church from complete decay when they arrived in the village. Today the church is often used to house art and cultural exhibitions and events. The church is dedicated to the virgin of the river and houses an intriguing unmarked tomb dating back to the medieval period. It is believed the tomb houses the church’s founder... and possibly his daughters as well. Ozankoy is also home to an 18th century church and, of course, a mosque. The mosque is an original structure dating back to the Ottoman period; the pretty domed fountain in the village is also believed to date from this period. The mosque has been restored over the years but much of the structure is original. Outside there are tombs belonging to Altunzade Ismail and Mesut Efendi who were two of the founders of the mosque. There’s an ancient crusader path that joins the villages of Ozankoy and Bellapais and though it is a little overgrown in places, it makes an interesting and challenging climb! Alternatively, you can wander up the narrow tarmac road to Bellapais and the higher you climb, the more incredible the views of the gothic mountains of the Kyrenia range before you and the more breathtaking the views of the Mediterranean Sea, Kyrenia and its harbours behind you. If you visit Ozankoy, be sure to spend time wandering around the pretty, narrow and ancient streets of the village, take in the beautifully preserved old houses, side by side with authentic ramshackle buildings. 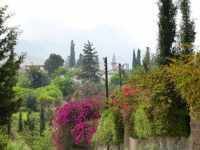 You’ll likely notice the well kept and burgeoning gardens all around, as well as the fecund fruit and olive trees. Ozankoy is so close to nature that much of its charm lies therein. This is what attracted its residents in the first place and they now add to nature with their own overflowing gardens. There are a number of small cafés, bars and restaurants in the village to restore you after a few hours wandering around, and Erol’s restaurant possibly offers the best hot and cold mezes in the whole of Cyprus! 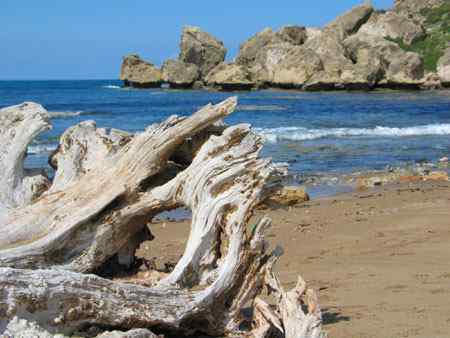 Do pay North Cyprus a visit... and check out my site for more information! Click the camcorder symbol above to watch a video related to this destination. If you enjoyed reading the above article then you will probably also enjoy Oslo, also in Europe, and our latest articles covering the Orinoco Delta, La Mata, Marbella and Beijing.